Robert Easterly is a litigation and business attorney who utilizes creative thinking, zealous advocacy, and tireless work ethic to help clients solve problems and overcome challenges. Robert works with a broad range of clients, bringing intense focus and personalized attention to the engagement in order to achieve not only a positive outcome, but value as well. Robert’s business practice focuses on helping startups and small businesses deal with the legal and business issues that arise during a business’ life cycle. He works with business clients to choose and form appropriate corporate entities, such as limited liability companies, partnerships, or S-corporations. He also advises business clients in connection with real estate, in areas including site selection, lease negotiations, and contract drafting/review. Part of doing business is also dealing with disputes, and Robert assists clients in all aspects of litigation, from contract breaches to partnership disputes. Robert’s criminal defense experience spans a wide variety of matters, from minor misdemeanors to significant felonies. His extensive knowledge of the inner workings of the criminal court systems, the complexities of the rules of criminal procedure, and the proclivities of the criminal justice system, gives clients an advantage when their freedom is at stake. Drawing from his previous career, Robert has created a niche practice representing college students in criminal and student conduct matters. He has been particularly sought after by international student populations due to his knowledge and expertise in navigating between university policies, court systems and immigration issues. 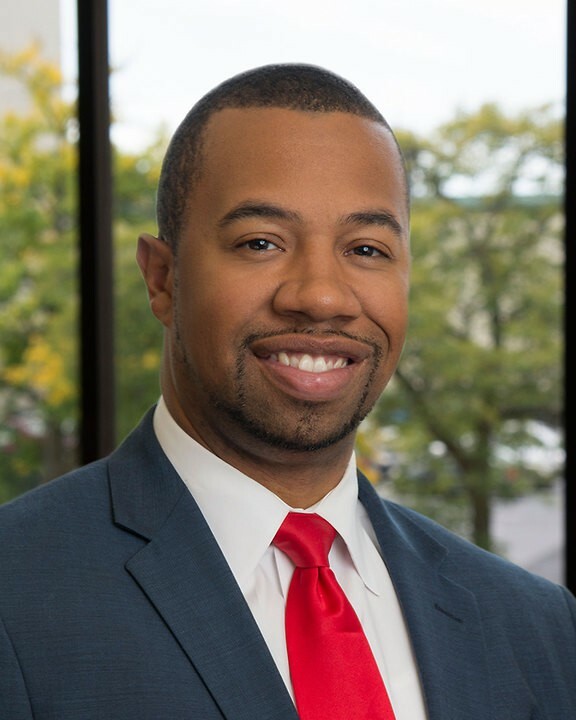 Prior to joining Foster Swift, Robert was a Youth and Family Advocate for Lansing Teen Court, a juvenile justice program that is a part of Child & Family Charities in the Capital Area. During his time there he provided direct screening, education, case management, advocacy, and referrals to adolescents and families, while also serving as the liaison to middle and high schools within the Lansing area. Robert also spent several years as a student affairs professional, serving as the Community Outreach Coordinator at Michigan State University, as well as the Coordinator of Intercultural Leadership Initiatives and Student Development within the Division of Student Affairs, Equity and Diversity at Washington State University. A dedicated member of his community, Robert is an active volunteer in several community organizations. He also currently serves as the vice president of the Davis-Dunnings Bar Association. Robert is originally from Toledo, Ohio and grew up in southern California and Seattle, Washington before moving to Michigan. He is a graduate of Washington State University with a Bachelor’s Degree in Communication and received his Juris Doctor from Michigan State University College of Law.